George has also reported, through a variety of documentaries, on global issues such as Saddam Hussein's genocidal campaign against the Kurds of northern Iraq for Newsnight, the last reunion of the veterans of Dunkirk, and a BBC1 Special on the trial and conviction of Jill Dando's murderer. George has won several personal awards for reporting, journalism and television and, in 1998, he was also voted Media Personality of the Year at the Ethnic Minority Media Awards. In 2000, he was part of the BBC team which collected a BAFTA award for its coverage of the Kosovo conflict. 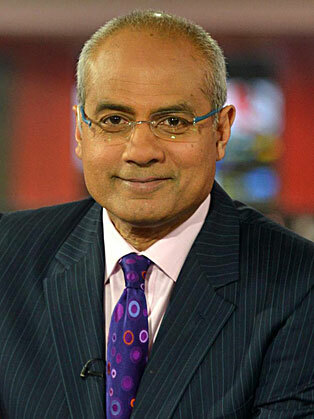 George Alagiah has chaired several live events for corporate and statutory bodies and in November 2002, he chaired the Urban Summit. He has spoken at a conferences, (including Citigroup's Asset Management team), has narrated and presented several videos for clients (such as the NHS and the Royal Navy) and has spoken on a variety of topics including the importance of business and economics in international relations. George’s first book, ‘A Passage to Africa’, was published by Little, Brown & Company in September 2001 and won the Madoc Award at the 2002 Hay Literary Festival.